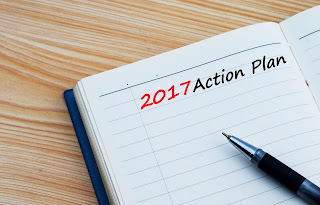 Home Blog What is Your 2017 Business Strategy? What is Your 2017 Business Strategy? To survive these imminent changes, corporations must identify new transformational business opportunities within the context of their specific industry vertical and competitive landscape. This requires much improved collaboration between business and technology leaders around developing an explicit linkage between the cloud computing economic model and the relevant business economic model. This linkage will inevitably include the effective use of virtual IT operational models that include dynamic infrastructure provisioning, infrastructure auto-scaling, application microservices and serverless computing. Preparing for these changes may also require a rethinking of your core business because customer experience design may actually drive your business success. Since quality experiences are based on customer empathy, business analytics, and cognitive technology, a successful business strategy may need to blend all of those capabilities. This also means having an ability to engage with both your customers and employees in meaningful ways, no matter where they happen to be. Preventing digital operations failures due to an inability to monitor and enforce the necessarily strict IT governance models. One final thought. Organizational risk tolerance levels may also need some significant recalibration because it only takes one successful “fail-fast” entrepreneur to reshape an entire industry. Chief financial officers and chief risk officers need to take a holistic approach that integrates business risk management and performance management, including compliance where required, as part of the overall business strategy and execution. In addressing this need, external risk management services may be the key to evolving your company from basic compliance and ad-hoc responses, to optimized business risk management, in which the value of risk management far outweighs the costs. This post was brought to you by IBM Global Technology Services. For more content like this, visit ITBizAdvisor.com.